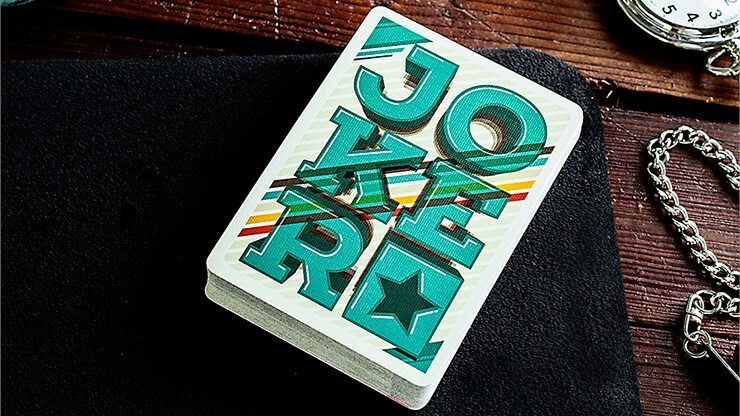 The aptly named A Typographer's Deck is a unique creation from Art of Play that was produced in collaboration with Turkish artist Furkan Sener. Typography is the practical art of arranging how the printed word appears on the page, and includes things like fonts, letters, and symbols, and how they are designed and presented. 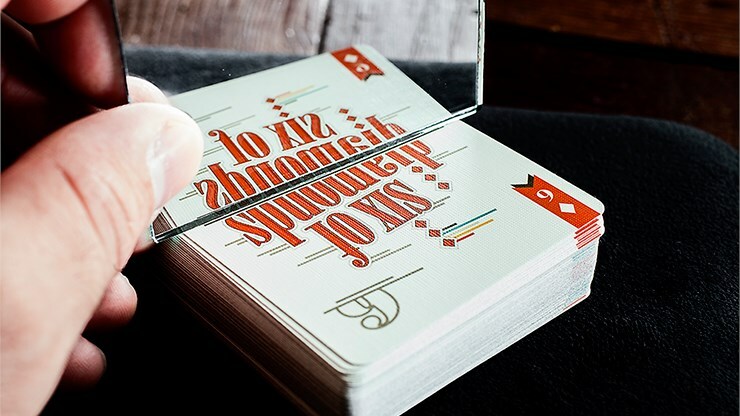 This deck is considered to be a celebration of the art of typography, and Furkan Sener has designed 54 completely custom cards that feature a variety of typefaces from different eras, so each card is a miniature work of art, displaying what a typographer might do with the name of each card. 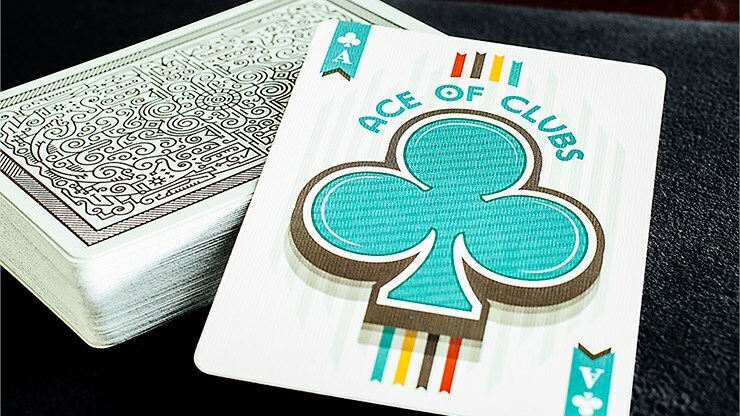 Yet despite the creative designs, clear indices ensure that this deck is still functional and playable. 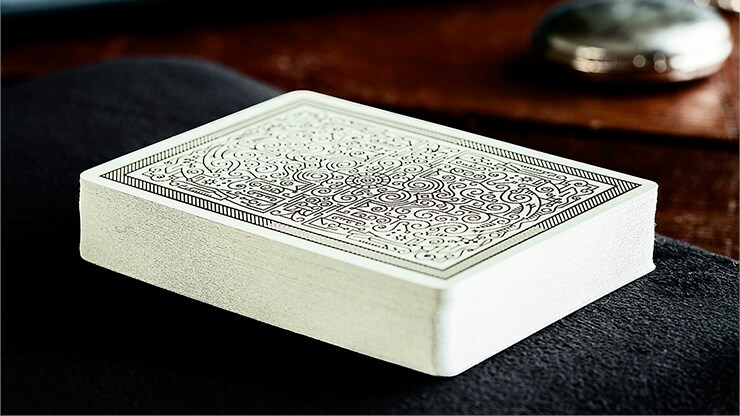 The card backs feature a detailed design with a monochrome look that brings to mind the shapes of letters and symbols woven together in an intricate pattern. 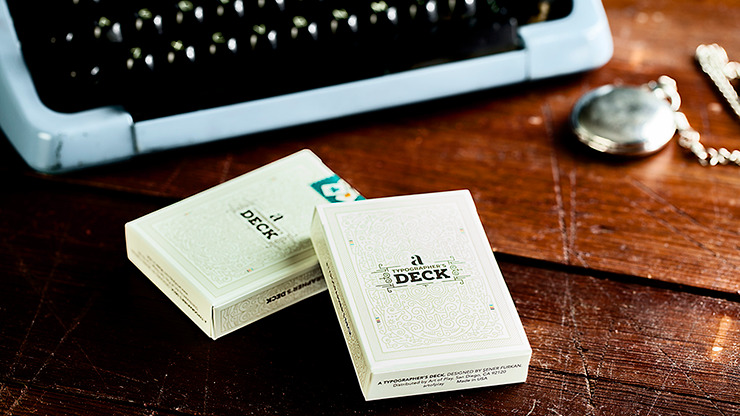 As a nice finishing touch, the tuck case has a look that complements the card backs. 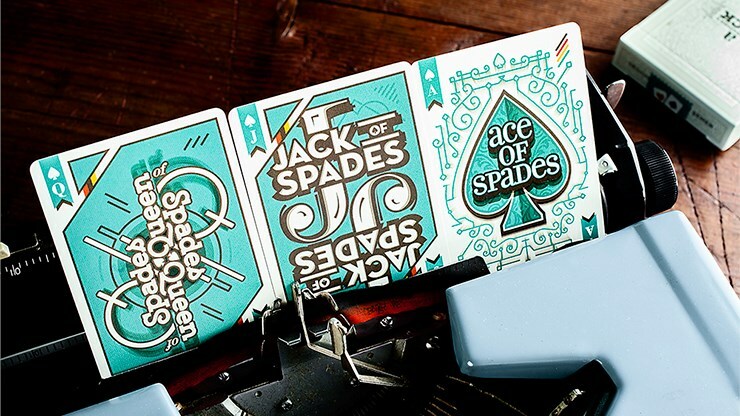 Art of Play's Typographer's Deck is a stylish and creative deck that should please anyone with an interest in typography, or in collecting unique decks of creative playing cards.